A cigar is made of rolled up tobacco. Much like a cigarette but large and does not contain additives. Mostly Cigar tobacco is grown in countries like Brazil, Cuba, Cameroon, Indonesia, Mexico, Honduras, Nicaragua etc. Explorer Christopher Columbus is generally credited with the introduction of tobacco to Europe. Two of Columbus's crewmen during his 1492 journey, Rodrigo de Jerez and Luis de Torres are said to have encountered tobacco for the first time on the island of Hispaniola, when natives presented them with dry leaves that spread a peculiar fragrance. Over a period of time Cigar has become very popular and later on become a status symbol where many kings used to smoke Cigar in currency notes. 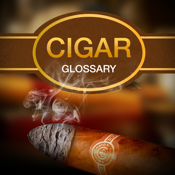 This Glossary provides you a comprehensive list of terminologies related to Cigar.